UPDATED: APR 22, 2019 Bottle at Taps Beer Bar, Changkat, Kuala Lumpur. Poured murky medium brown with a lasting frothy off white head. The aroma is malt, vinegar, molasses. The flavour is moderate sour with a light, crisp, yeast, tart fruits, vinous, oaky, big molasses palate. Medium bodied with average to soft carbonation. UPDATED: APR 9, 2019 Bottle. Pours deep brown with little to no head. Aroma of cherries and oak. Complex sour notes with cherry/bubblegum flavour at the end. UPDATED: APR 6, 2019 Lots of cherry in the nose, unbelievable there aren’t any in it; yoghurt, a hint of fungus and loads of funk. On the palate high but ripe acidity; sour, sweet and salt in a beautiful balance; first crisp then creamy mouthfeel; taste of light aceto balsamico and red cheese. Dry but not astringent. Super elegant! 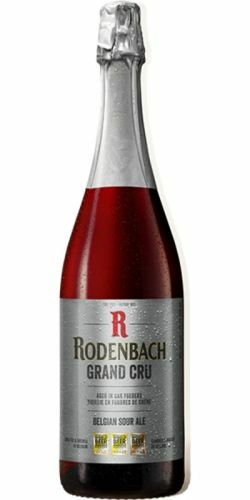 UPDATED: APR 6, 2019 For decades, my favourite KRIEK. Belgian brown with Morello Cherries. Where tradition meets craft. UPDATED: APR 2, 2019 330 ml bottle. Unclear brown, no head. Barrel notes, wine grapes, balsamico vinegar, wood, basement notes, cassis, red currant. Acidic sourness, fruity sweetness. Medium bodied, oily texture, soft to low carbonated, dry acidic finish. Very nice Flemish Red. UPDATED: APR 9, 2019 29.03.19, butelka z datą do 26.07.21 Bardzo złożony aromat: wiśnie, czerwona porzeczka, pigwa, lekko grzańcowe, winne, suszona śliwka. W smaku kojarzy się z grzanym winem, sporo czerwonych owoców, muśnięcie octu. Kwaśne. Nasycenie niskie. Goryczka niska. Świetne. UPDATED: APR 10, 2019 Best sour beer in the world I think. Hands down. Complex aftertaste, big sour start, bloody lovely.